We have found a partner. GenNext announced in January at Heavy Duty Aftermarket Week (HDAW) it has signed a Memorandum of Understanding (MOU) with the Commercial Vehicle Solutions Network (CVSN) to bring GenNext’s events and activities underneath the CVSN umbrella of services. Immediately following the jointly hosted Distributor Training Expo (DTE) in April in Atlanta, CVSN will take over the administration of GenNext membership. GenNext is excited about this opportunity, as we believe it will be beneficial for our members and the independent aftermarket at large. Under the MOU, GenNext will remain a standalone entity and maintain our own board but will sit under the umbrella of CVSN. GenNext also is in the process of expanding and enhancing the capabilities of its member committees (Education, Mentoring, Recruiting, Membership/Marketing and the DTE) to better support its membership and bring value-added services to the independent aftermarket community at large. “As we continue to look for more ways to bring value to the industry, GenNext is a natural fit to be part of CVSN and we look forward to being able to offer GenNext’s services to all of our members,” says Andy Robblee, president of CVSN. More speed mentoring on the way! In addition to our partnerships with CVSN, we also will be holding another speed mentoring event at the upcoming HDA Truck Pride Annual Meeting in April. The event is scheduled for 4 p.m. PT on Wednesday April 4 in San Diego. Industry Mentors and GenNexters will rotate around the room in 10 minute sessions to ask questions, share stories and make career connections. We had great success with this format last year and are looking forward to another great year! Fleet Engineers, Inc., was founded in 1963 in a Muskegon, Mich., garage by Lou Eklund, father of current President Wes Eklund. The company steadily grew throughout the late 20th century by adding manufacturing capabilities and new products and expanding its production facilities to its current four-plant manufacturing facility. Today, the company’s capabilities include a wide array of metal cutting, stamping and forming, a complete roll-up door manufacturing facility, and an injection molding plant. The company now produces thousands of commercial truck and trailer parts for consumption worldwide, focused on North America. Our parts are sold into the multi-tiered commercial vehicle parts industry, both OEM and aftermarket. Our company is represented both by regional sales agencies and our own sales representatives, who focus on supporting our distribution partners and creating demand at the fleets using our products. What separates Fleet Engineers from competitors in its marketplace? Probably our most distinguishing difference is our broad product offering, with around three thousand SKUs, we can offer a “one-stop shopping” experience to our distribution partners for dozens of product categories. We offer aerodynamic solutions, roll-up door systems and associated parts, a wide array of spray control products, and a variety of replacement parts for truck and trailer. I recently joined Fleet Engineers and surveyed several industry contacts as I considered the position. I heard a consistent message from them: good company; U.S.-manufactured products; quality. Since joining the company, those messages have been confirmed day in and day out. Like all U.S. manufacturers, we face continuous price competition from overseas, and we are extremely grateful to our loyal customers and distribution partners. We have managed to grow the business above the pace of the U.S. economy, despite this competition, by producing quality products at fair prices and striving to be responsive to the needs of our fleet customers and distribution partners. We manufacture roll-up doors! Fleet Engineers is a diverse U.S.-based manufacturer with four plants on our Muskegon campus. One plant is fully dedicated to producing wood, poly, and composite roll doors for trailers and box trucks. What makes Fleet Engineers a great place to work? The company, having grown from a one-man shop to where it is today, has maintained a small-company feel. Many of the employees have been here more than 30 years, and turnover is very low. There’s a sense of loyalty going both ways between the ownership and the employees that can be lost when companies outgrow their roots. Everyone here seems committed to becoming better in every facet of our operation. I dropped in on the planet right at the beginning of GenX, and remember the baby boomers saying we were lazy, didn’t have any ambition, had it too easy … I’m pretty excited about the way the younger generation views the world, the tools they have at their disposal, and what they’ll do to make it a better place when the collect some wisdom along the way. Ours is an aging industry, and frankly our diversity leaves something to be desired. We need talent from the Gen Y and Millenial pool to bring a fresh approach. Balance. Don’t wake up one day and wonder when your kids moved out. Listen and Learn. Don’t be the person in the room waiting to get your turn to speak so that you can show everyone how smart you are. Ask great questions. If you want to be a great leader, you need to care about the people in both directions on the org chart — and you can’t fake that. Don’t get too high on the wins or too low on the losses. Each is an opportunity for humility and learning. I’m not sure I can think of three, but I’ve noticed this: Throughout my career, the people I reported to kept getting better. Partially, I’m sure, it’s because as I climbed the ranks, the people above me had climbed even higher, and were better prepared to be great leaders. But I also noticed that as I got older, I was more willing to accept that I could learn from my boss. I saw that they were interested in helping me grow, not just getting results out of me. Yes, there are bad bosses, but in reflection, I’ve never had one, and I’m sure they are rarer than one might think. The trucking industry is full of amazing people, both at the fleets and at the suppliers. I really enjoyed the principals of the companies in the American Commercial Tire Network, such as Tom Raben (Raben Tire), Randy Drake and Bert and Barry McGriff (McGriff Tire), Bob Schwenkfelder (Commercial Tire), among many others. Tim Musgrave with PSI was a competitor of mine for some time, but I always felt he was a very fair and kind person to be around. A few fleet folks I really enjoyed working with are Brent Nussbaum (Nussbaum), Steve Grover (Knight), Pat Leonard (Prime, Inc.), Tom Newby (Old Dominion) and, of course, Royal Jones at Mesilla Valley. Please briefly describe the history of Midwest Heavy Duty (a quick summary is fine). 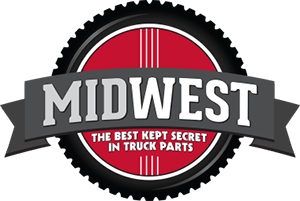 Midwest Heavy Duty (MHD) arrived through the evolution, and diverse product and service offering of Midwest Trailer Sales Inc., driven from the company “Can do” approach to customer needs, requests and desires. The MHD brand was created in 2016. Midwest Trailer Sales Inc. was founded in 1982, by of Bob and Nan Zurbuchen. Bob entered the industry in 1969, as a salesperson, for the then, Dorsey Trailer Sales of Wisconsin. Prior to entering industry, Bob was a salesperson for the Beech-Nut Chewing Gum Company. Current president, Troy Zurbuchen, entered the industry in 1982 as a go-fer, then moving to counter sales, outside sales, various management positions, operations manager and now president. Midwest Heavy Duty offers 156 supplier partners that encompass on-highway vehicles (Class 3 – 8), off-highway vehicles, vocational, fluid power, power transmission, truck equipment, as well as petroleum distribution and metering equipment. MHD/s customer base includes local, regional and national on-highway fleets, specialized heavy-haul transport operations; contractors, including road building, dirt workers, utility companies/power infrastructure, landscapers; municipalities, county, villages, cities and townships, farming operations and agricultural transport operations, wholesale and retail businesses and OEMs. What separates Midwest Heavy Duty from competitors in its marketplace? High and diverse product knowledge and experience level across multiple industries, skilled in resolving customer issues through parts and/or service sales. Customized products and services and project-specific assemblies and sub-assemblies. Knowledge: The greater population of our team are career people, this industry being their passion. Not a requirement of MHD, just a result of being part of this industry and the MHD team. This offers our customers the knowledge base, in order for the customer to focus on their business and their capital assets generating revenue for their company. Integrity (our word): We operate as if the customer’s business is our business. We stand behind our products, and services as if the cash the customer spent is our own. We expect the same from our suppliers. We operate with an extreme level of accountability and demand the same from our supplier partners (and all their people), as well as all our MHD private label products. We do not tolerate excuses, rackets or stories. The products and services we sell impact on people’s lives, we expect our people to stand in for that, in that spot, all the time, every time. Over the years, MHD has worked in collaboration with many manufacturers as a beta test site for prototype products that are now in industry. MHD is known as a company that is a highly engaged, switched on, that can effectively communicate with many diverse cultures, from the customer to OE sales to OE engineering. MHD offers OE programs like J.I.T. programs, six sigma compliancy and full traceability. MHD is a service provider to the U.S. Military. We regularly perform work for the U.S Army, Air National Guard, and the Marines. It is not uncommon to see multiple U.S. military vehicles at our facilities being tested and prepared for mobilization or, upon return, during demobilization. Primary work are vehicles that support or perform refueling operations. MHD is a federally recognized welding facility, under the United States nuclear boiler code. In my opinion family businesses offer a diverse range of experiences. If you are a person that enjoys a diverse range of daily and extended duties and opportunities for high performance personal and professional growth, a family business is where it is! If you want a defined “stay in your lane” job with set responsibility and duties, family business is not your best venue. What makes Midwest Heavy Duty a great place to work? I guess, in truth, I can not answer that. I can say that, more than once, I have heard from industry people, some of which are competitors and former employees that Midwest only hires the best, and only the best are hired by Midwest. Our company community is highly authentic, with full-on engagement to create high-performance community members, which is not the norm. Many people that experience the company, customers, prospective teammates, as well as prospective supplier partners, have said, “I have never experienced anything like this before.” Our turnover is low, less than 2 percent, and those that have transitioned on have advanced into greater industry roles. I don’t know if we are, in the sense that what we believe in, who we are, what we stand for, how we show up and our expectations are what the younger generations want or interested in. I feel it is bolder to say ‘I don’t know’ then ‘I do.’ Personal and professional accountability, integrity and self-awareness are key to MHD. MHD has not focused on an age-specific group, but core values. Strong core values equate to a positive impact to all communities that person resides in, which creates respect and in turn equates to exponential success and growth personally, and professionally. Do you feel Midwest Heavy Duty is in the position to change with the times? If so how? The Midwest companies, Midwest Heavy Duty (MHD), Midwest Trailer Sales Inc (MTS), and Midwest Heavy Duty – Engineered Product Solutions (MHD-EPS) are involved in and experience a full compass cross section of the transportation industry. Through each business unit, OE, traditional commercial vehicle aftermarket and our engineered products company, our finger is on the pulse more than any company that has exposure to only one or two of those categories. The industry is at the precipice of full-on vertical integration by truck manufacturers, being keen on these actions is critical not only to commercial vehicle aftermarket distribution but also our historic, traditional, iconic supplier partner brands. Vertical integration offers no exemption from any of the current aftermarket population (supplier or distributor). We are all potentially affected by it. Through the global relationships that MHD, MHD-EPS, and MTS have we are prepared for the forthcoming changes in vehicle manufacturing, componentry and technology. Your core values (what you stand for) are your life brand. If your brand is myopic, you will have short term gains, short-term results, and many challenges along the way. If your brand is comprehensive, true, clear, strong and balanced, you will exceed your expectations and goals — personally and professionally — as others in your community will see you as a brand that has their dignity, image and efforts as a priority. Professional mindfulness (a statement for people of all ages). Listed to hear and understand, not to respond (another statement for people for all ages). What are your goals for the long-term future of Midwest Heavy Duty? I feel that it is important to create a company that offers, creates and supports the dreams, desires and goals of all within it and interact with it. As a leader of these companies, my responsibility is to stay plugged in to what is emerging on a local, regional, national and global scale, across all affecters to the Midwest Companies, in order to offer a best in class experience and opportunity for our customers and the Midwest teams. Being anything less than switched on is risky in today’s business landscape. Why did Midwest Heavy Duty join GenNext? How can GenNext help Midwest Heavy Duty’s employees? Success comes through the creation and collaboration of full compass, comprehensive community. Without all perspectives, interactions and facets, you are two dimensional at best. GenNext offers the point of engagement for young emerging professionals the opportunity to experience and assess the world of North America’s commercial vehicle aftermarket, which is key and keen for all parties’ success. I still remember times early in my career at 25 years of age, going to industry events and being so confused. Often going back to my hotel room and outwardly crying, in frustration, trying to make it in the industry. It was not easy. From this, I learned perseverance. Near the mid-point of my career, up to this point, it became clear that a divergent path had been established, predicated on my views of what the industry needed and the consumer wanted, different than the role a strong industry influencer felt we should play. Subsequently, the relationship between our respective parties ended and we became one of few true independents. What came of it was a great lesson in courage. Not so long ago, my father was very ill, and the uncertainty of his health, compounded by the recent change in our board of directors, established me as president of the companies. This is where I learned trust and leadership. Hmm, that is a tough one. From my perspective, I have been extremely fortunate as well as sincerely grateful for all my professional and personal experiences, good or not-so-good. In my opinion, all of these, as well as how you react to them, makes you who you are in each and every moment, the present. I would be a fool to not express my appreciation for my father (professionally) as well as my mother and my father (personally), and my siblings. Without them, I would not have become who I am today. I am a person that expresses my gratitude outwardly, and immediately. There will be many people who will be reading this article who have made an impact in my life, both professionally and personally (they know who they are) and I am still every day deeply grateful and humbled to have those relationships. That they saw something in me I could not and had the graciousness to give me their time. With the third annual GenNext and Commercial Vehicle Solutions Network (CVSN) Distributor Training Expo right around the corner, we have added the list of the supplier and distributor companies attending this year’s event to this website to allow attendees to begin planning for the event. The list of supplier attendees is available HERE, while the distributor list can be found HERE. All 200 distributor attendee spots and 30 supplier sponsorships are sold out. This is the third consecutive year the event will be at full capacity. Additionally, we are allowing interested distributors to continue signing up for the event waiting list and note that if any confirmed distributor employees are unable to attend, open spots will be filled by those on the waiting list. Other waiting list distributors also will be given first opportunity for early registration for the 2019 event. Pancero also will provide breakout sessions for counter people, and for supervisors, managers and owners. The counter-centric presentation, “Mastering the sales call – Selling skills for the parts counter professional,” will seek to provide attendees useful guidance to help control and lead a sales call. The leadership-focused presentation is titled ‘How to lead your sales team to a competitive advantage,” which Pancero says is designed to help business leaders learn the sales leadership “best practices” that can most impact your team’s market share and profitability. For more information on the DTE, which is scheduled for April 20-22 in Atlanta, please click on the Events tab on this website.